Appearing in her 8TH! Yes you read that right, 8TH Principle Boy role is Katherine Macleod. Katherine’s Goal was to complete the Panto 8 Shows as Principle Boy. Cinderella Completed that dream for her. Congratulations Katherine and here’s hoping you can complete the circuit again in any role you choose! Update 27/01/2018. 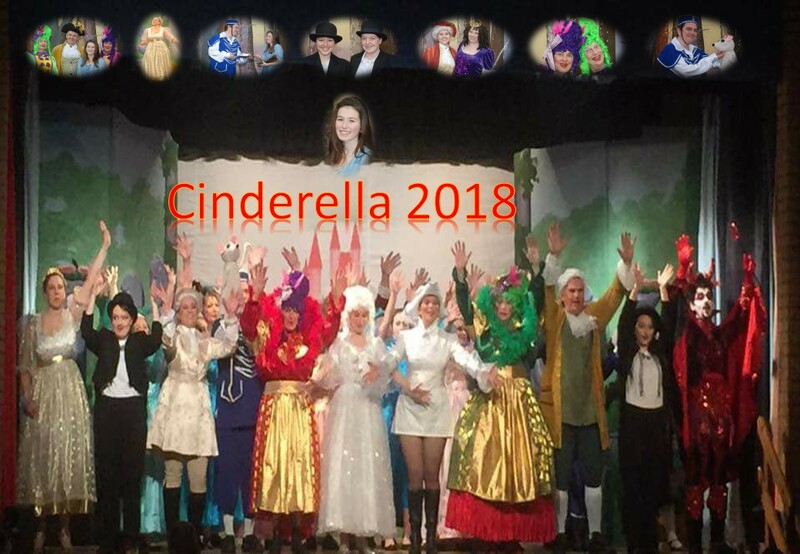 Cinderella was a HUGE Success! We had brilliant audiences each night who were more than willing to get involved. Cinderella’s performace was so spectacular that even the scenery fainted…….just missing our poor cinders.